Time is running out for King Alfred (David Dawson) to unite the kingdoms. With his health failing and the line of succession uncertain, Alfred looks to our hero Uhtred (Alexander Dreymon) to ensure his young son Edward (Timothy Innes) becomes the next king. Meanwhile, dark forces are moving outside the court and when a powerful Danish warlord Bloodhair (Ola Rapace) attacks, Uhtred must lead Wessex’s forces into battle. Uhtred captures Bloodhair’s mysterious lover, the savage sorceress Skade (Thea Sofie Loch N?ss), who throws a curse and his world becomes blighted by tragedy. 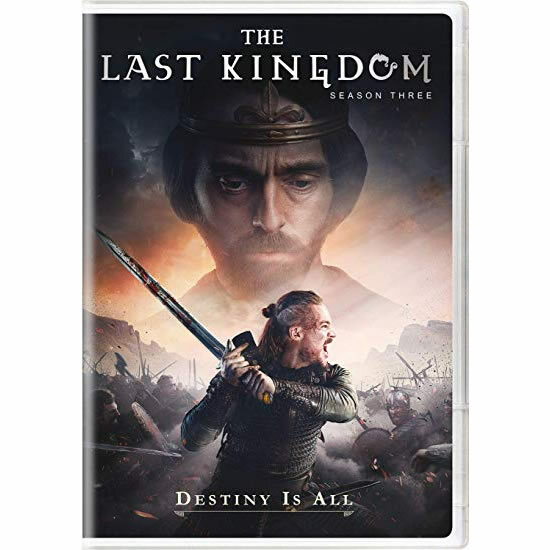 In this dangerous time of treachery and chaos, Uhtred is caught between enemies both Dane and Saxon and confronts a difficult choice ¨C if he deserts Alfred’s cause, the future of the English people will be changed forever. Spectacular come back of awaited miniseries. The Last Kingdom still performs at every level. We are treated with the return of favorite characters with whom we¡¯ve been traveling through time. But the 9th Century is also unforgiving, and tragedy and heartache continues in all shapes and forms. Acting is strong, as well as choice of actors. Be ready to hit ¡®back¡¯ button to replay the dialogues between Alfred and Uhtred, or Uhtred and Edward and many more. An absolute treat to escape into that world where bravery and one¡¯s word were cherished and inspiring to them, as they are to us now. The only regret was we couldn¡¯t pace ourselves to one episode a week, and because it was available, we sometimes watched one more… and now, we wait, replaying this season again, hoping there will be a next.